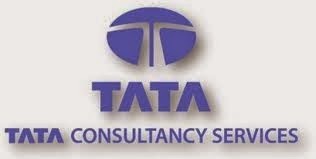 TATA consultancy services Limited is a multinational information technology service, consulting and Business solution company, that provides IT service, consulting and business solutions deliver real results to global business to help them experience certainty. Now they are conducting off campus drive on this month Feb 2015. Candidates who are looking to work in TCS should have minimum of 75.00% from 10th on words. Should have CGPA 8.0 (No Rounding OFF) and above (NO Standing Arrears) Cumulative score of 1st semester to Last semester. 2 Rounds of Technical interviews & HR interviews. All thy Eligible candidates have to pay of one time registration fee of RS.750/- in the form of demand draft drawn in favour of " The Director, CUIC, Anna University" payable at Chennai and can attend any subsequent drives by bringing their CUIC-TNSLPP - Admit card,With out fail. Dates : 26th & 27th Feb 2015.